CONSTRUCTION: The Smith High Temp Pleated Filter is a medium efficiency pleated filter specially constructed for use in systems involving elevated operating temperatures. The perimeter frame is constructed of 24 gauge galvanized steel. The pleated element is supported downstream by a galvanized steel expanded metal support grid. The pleat pack is held in the frame with 1/8” thick 1” x 1” galvanized wire. 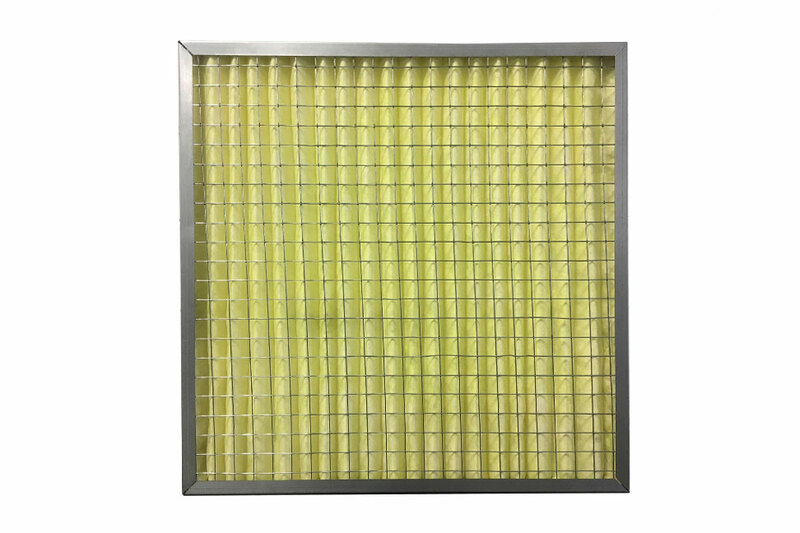 The filter media is a .25” high-density ultra-fine fiberglass. The binder employed with the UFM 45 UB media should be good for temperatures up to 450 degrees F. However, depending on the environment, continuous use above 300 degrees F is not recommended. Initial pressure drop is 0.06 in WG. Average efficiency is 40-45%, MERV 9, Euro class F5. The Smith High Temp Pleated Filter is available in standard and non-standard sizes.